Change Exploratory » Blog Archive » It’s really not easy for local government …. At the same time as introducing a new structure and culture around public participation, the same Officers have to introduce Local Community Development Committees, absorb the functions of Town Councils that are being scrapped and induct new Councillors to be elected in next month’s elections. All this after years of annual budget reductions. (And I feel too for the people who have devoted years to Community & Voluntary Forums and Town Councils, with varying degrees of success in different places, but invariably with lots of efforts and goodwill). So, here we are. We are where we are, as they say, with reforms proposed that hold the potential to herald a new culture of public participation, solving problems and creatively identifying opportunities better than ever before, with Local Government Officers under unrealistic levels of pressure and with many key people feeling resentful at apparently being abandoned to a scrap heap. You only get one chance to create a first impression (they say that too). For Public Participation Networks to get off on the right foot is a tremendous ask. It is going to need some really clear guidance and briefing (not happened yet ! ), acknowledgement of people who have given a lot in the past (at the moment that appears to be being skimmed over) and some really smart meeting management to get basics in place and to build inclusion for all. In the slightly longer-term, there is talk about (although not necessarily resources for) “education, training or skills development to enable community participation” and to increase the skills base “in the area of participative, deliberative, community-based planning for sustainable development”. This should be enormously exciting and important – let’s hope we can get through the next few months well enough to at least make a decent fist of things. 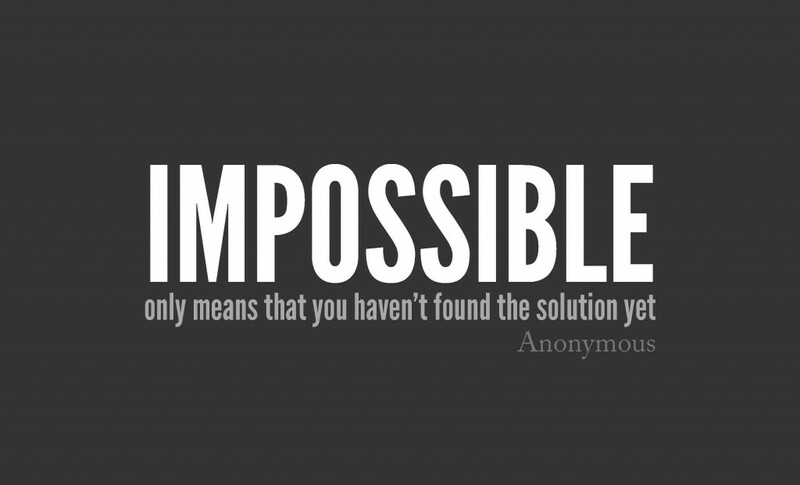 Impossible does mean only that we haven’t found the solution yet. It would be really good to put some resources into one or two local authority areas to find some solutions to current challenges and help blaze a trail for others to follow.